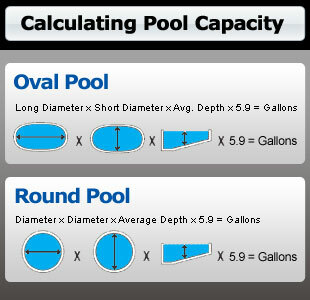 Please note: Pool calculations below have been rounded off to be used as a quick guide for easy pool maintenance. For exact calculations please use the calculator above. Note: Pool volumes above are approximate. For exact calculations please use the calculator.